Ms Mishi Mboko Beat Hamisi Domoko at Likoni constituency ODM primaries. - Bana Kenya News, Real African Network Tubanane. 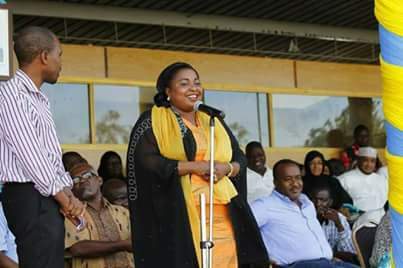 Home featured Mombasa Ms Mishi Mboko Beat Hamisi Domoko at Likoni constituency ODM primaries. Ms Mishi Mboko Beat Hamisi Domoko at Likoni constituency ODM primaries. In Mombasa, the ODM primaries made the current women representative Mishi Mboko carry the ODM ticket as her colleague in Malindi Aisha Jumwa clinch over Willy Mtengo. Ms Mishi Mboko was contested with Hamisi Domoko at Likoni constituency. Ms Mishi Mboko emerged the winner after she garnered 5,935 votes against his competitor Hamisi Domoko who managed to get 3,294 votes. She led almost in all the polling stations. Speaking to journalists after her victory, Ms Mboko said she was honoured with the results appending that the race has given her a chance to gauge herself for the August polls. "I thank God that we managed to conduct our nominations here in Likoni peacefully. I know it was not an easy journey but finally, I have seen the results of my sweat" Ms Mboko said at Likoni YWCA hall where results were being tallied. But hours before the results had been announced Mr Domoko said he would not accept the decisions saying he had determined about rigging by his rival, Ms Mboko. He alleged that there were plans to rig him out, hence the exercise was not fairly conducted and added that he will appeal at the ODM conflict resolution board. "The rigging today has damaged the image of ODM Party. I will not accept these results at all because we witnessed all tactics being done to ensure I am defeated. I have 24 hours from now and I will think of going as an independent candidate because one thing I am sure about is that I must be on the ballot," Domoko said. Both Domoko and Mtengo threatened to go as independent candidates or join Jubilee. Domoko said that there was a lot of background games that the Mombasa governor played with Ms Mboko to defeat him. The allegations were later rubbished by the Governor Hassan Joho.